All Roman cities, like the earlier Greek cities, were planned and designed in the same way – having straight-lined streets and avenues, with the city’s commercial, cultural and social areas at the very center. 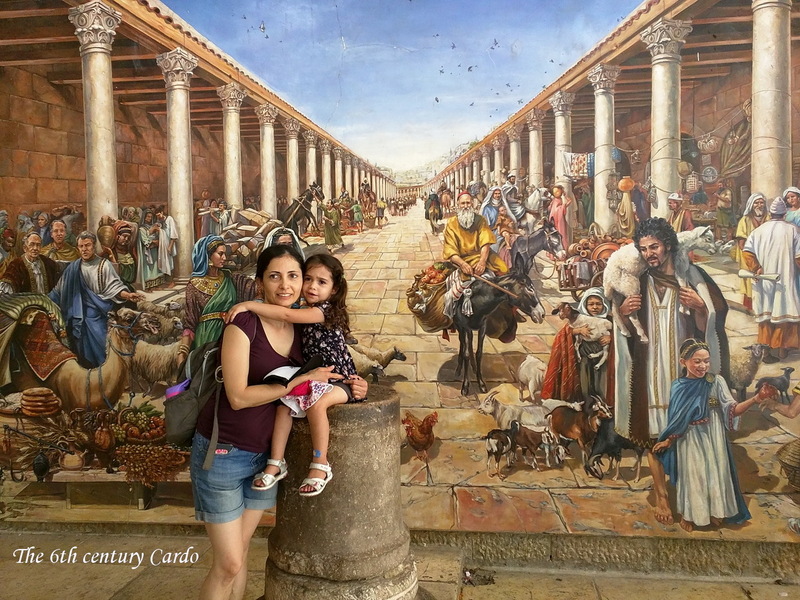 All of the streets running north and south were named Cardo, and the central cardo was called Cardo Maximus. 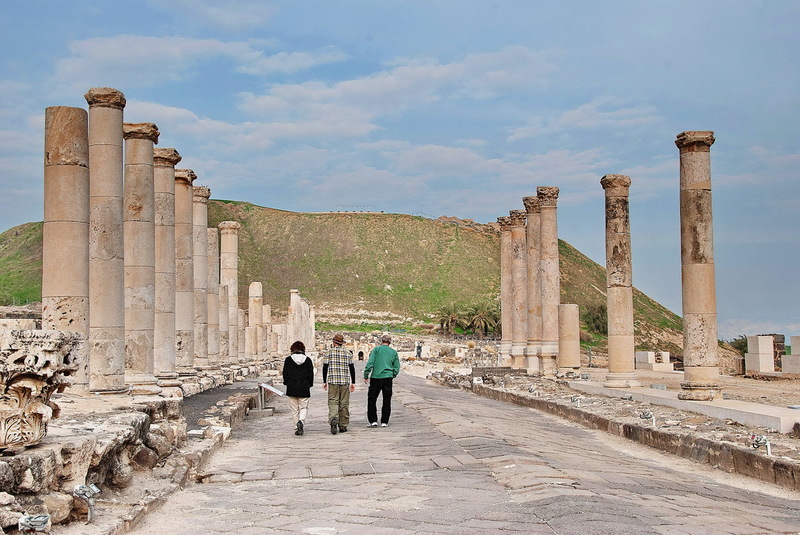 The best demonstration of this design can be seen in the following photo of the city of Beit She’an . 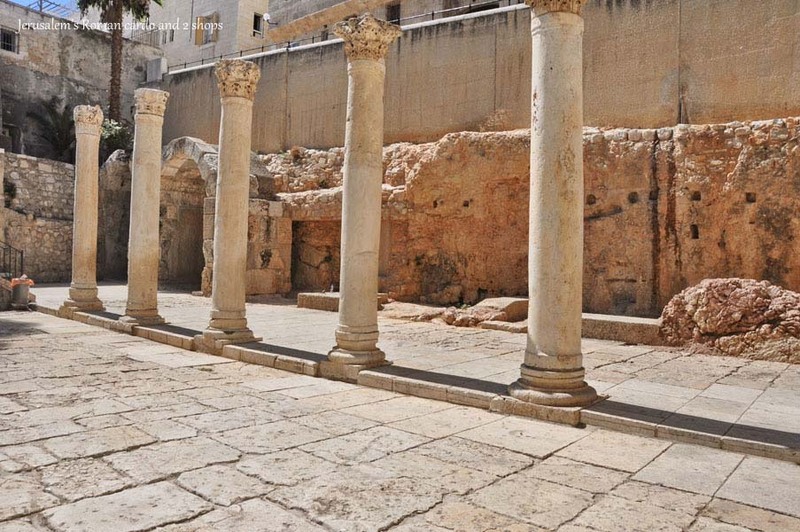 The Roman pagan city, which was established in place of the Jewish Jerusalem in the 2nd century CE (and named Aelia Capitolina), was no different. When Christianity was legalized in the 4th century, Aelia took back the old name, Jerusalem. Because of its new religious importance, Jerusalem was expanded extensively. In the 6th century, we can see a main Cardo, 22 m. (72 ft.) wide, with shops located all along the street. 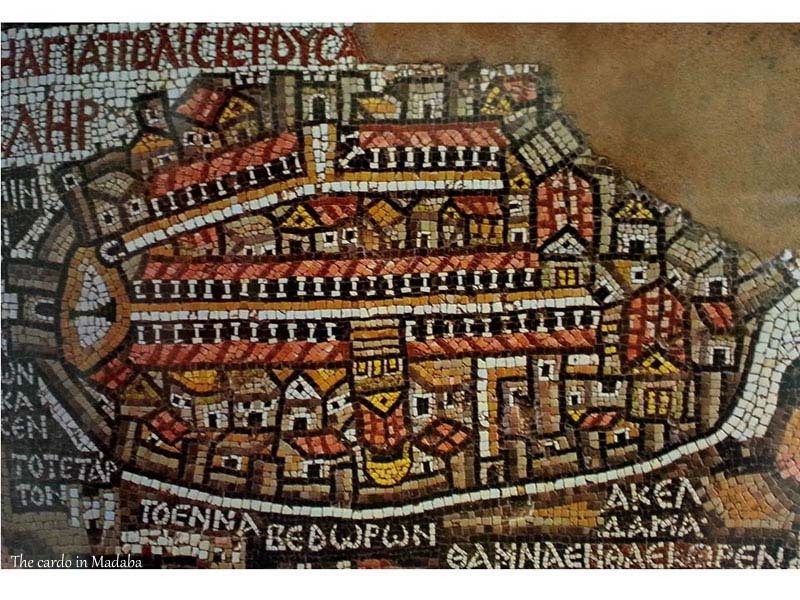 The 6th century mosaic Madaba map shows the Cardo as a very wide colonnaded street running through Jerusalem. The shops were small, no more than the size of storage rooms. People could see the goods and feel them only when they were brought out onto the sidewalk. A roof supported by a long line of columns protected the goods and the people from the rain or blazing sun. In the Middle Ages, the large Roman carts weren’t used anymore, so the width of the streets shrunk to the size of two loaded donkeys passing each other. In the 12th century, part of the Cardo was divided into three parallel narrow streets, which still exist today. Another area functioned as a bazaar during the time of the Crusades. 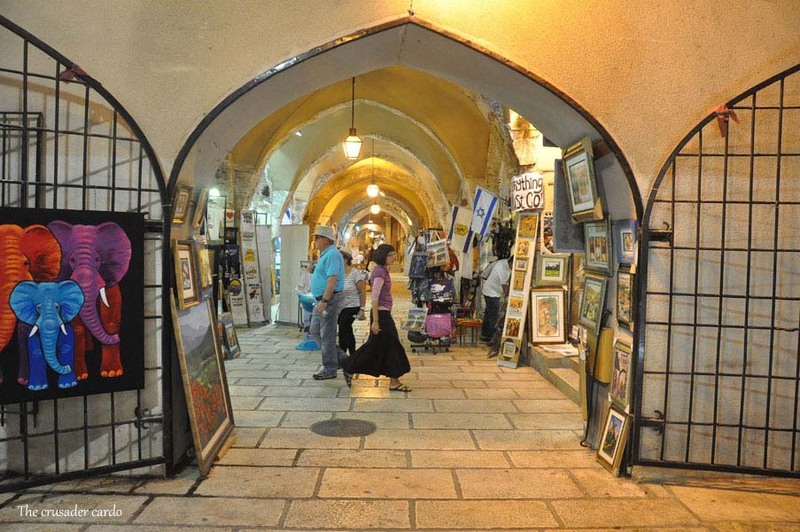 This was rediscovered in the Jewish Quarter in the 1970’s, cleaned and renovated, and is currently used as a lovely, modern bazaar in the Jewish Quarter.